← Finally! The Alpine and Trails! Neka decided our house needed protection from a wild animal at 0230 this morning. 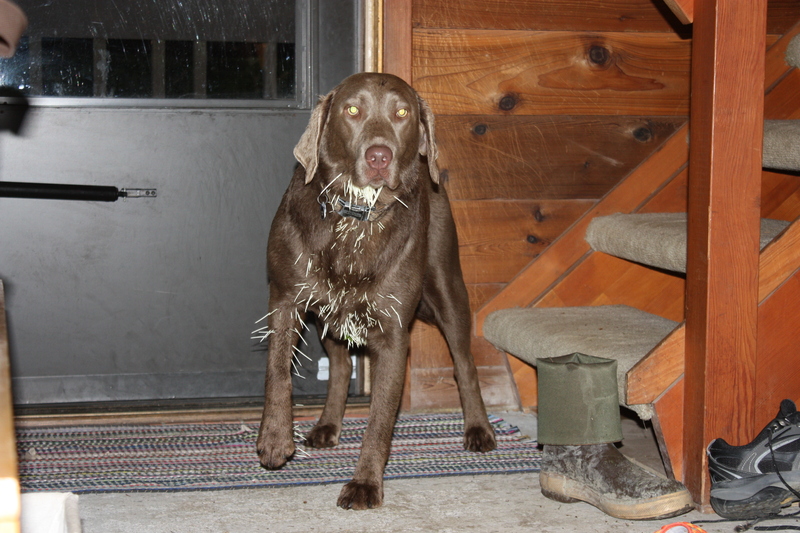 She must have tackled the porcupine like she does our cat because that is how the 500+ the quills ended up! 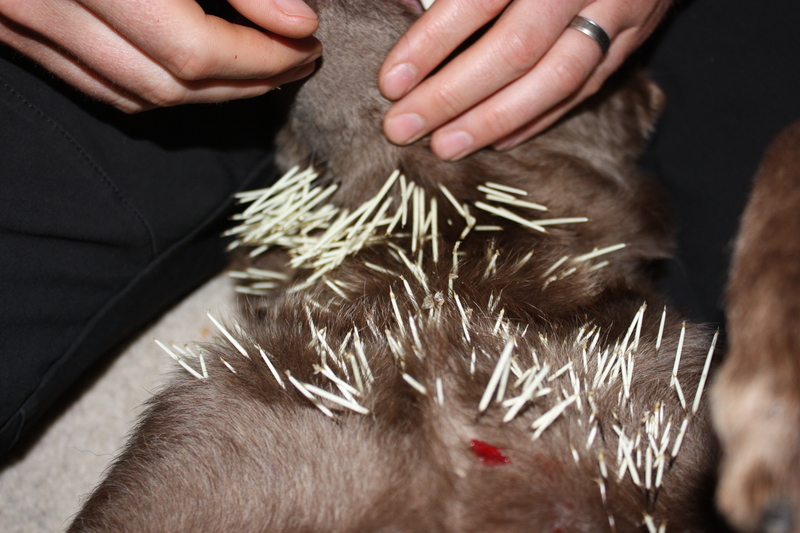 She had quills in the right front paw from trying to step on it, as well as under her neck and chest. She always tries to paw at the cat with her R foot while turning her head because she has been scratched in the face too many times. I left her out to go to the bathroom and heard her tearing off into the woods behind our house, then heard 3 sharp yelps and she came tearing home again. 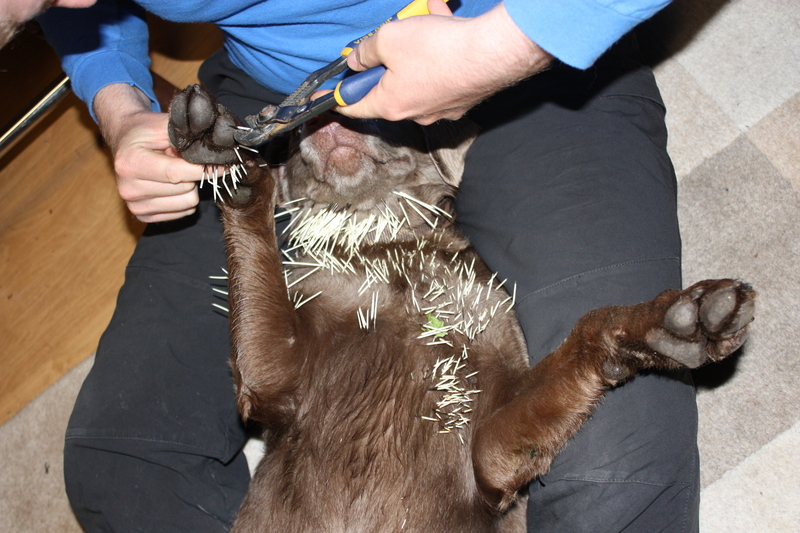 The next 1.5 hours were spent pulling quills (thank goodness there were none in her mouth!) and of course she needed a bath afterwards because she stunk of musty porcupine! 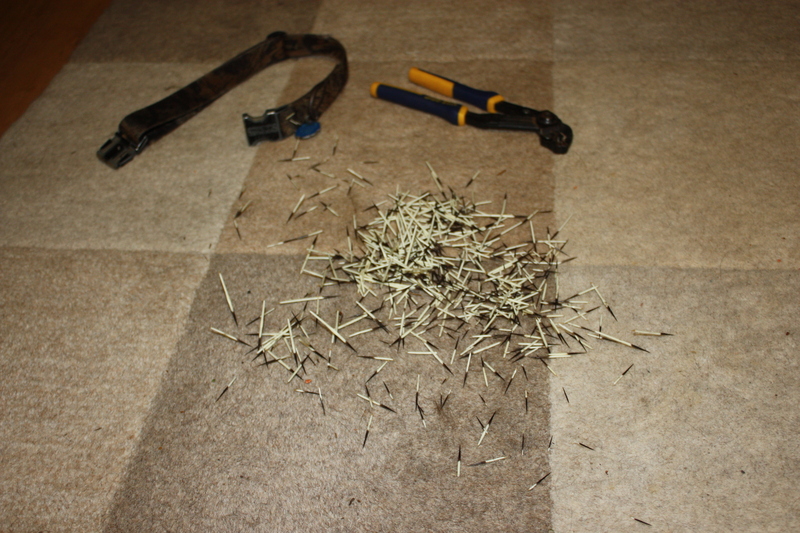 Afterwards I put them into a bag so that we can keep making her smell them as a reminder not to do this again … I stopped counting after 200 quills. 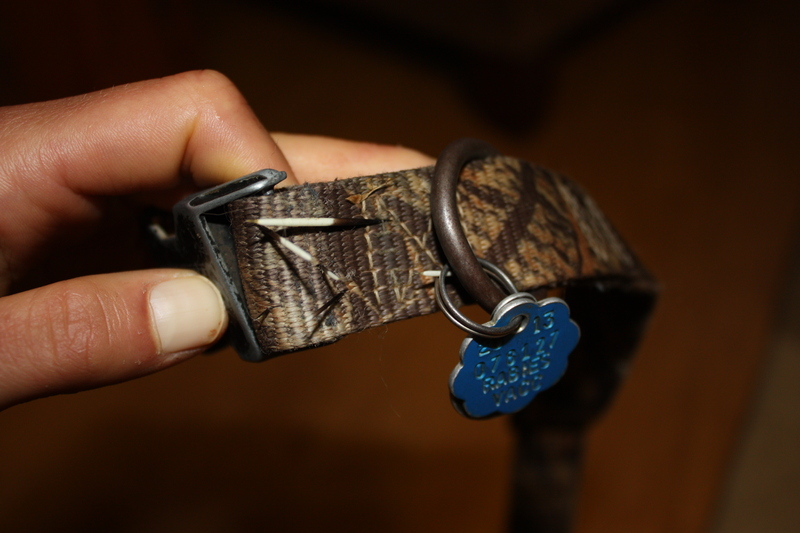 Even the collar took some quills! Poor girl … hopefully lessen learned, albeit the hard way. Ugh, poor dog and poor you guys, having to pull them all out! Hope she heals up well! AWWW, poor Neka! It makes me hurt to see her so covered. Hope she’ll stay clear of them from now on! Oh my goodness! The poor dog.